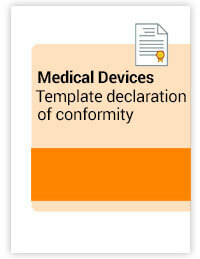 This template contains the content of the Declaration of Conformity (DoC) for Medical Devices according to Directive 93/42/EEC. The template contains the content of the Declaration of Conformity (DoC) for Medical Devices according to Directive 93/42/EEC. See also our template that complies with the (EU)2017/745 Medical Devices Regulation.